When it comes to promoting your business, to stand out from the crowd, a professional presentation is paramount. 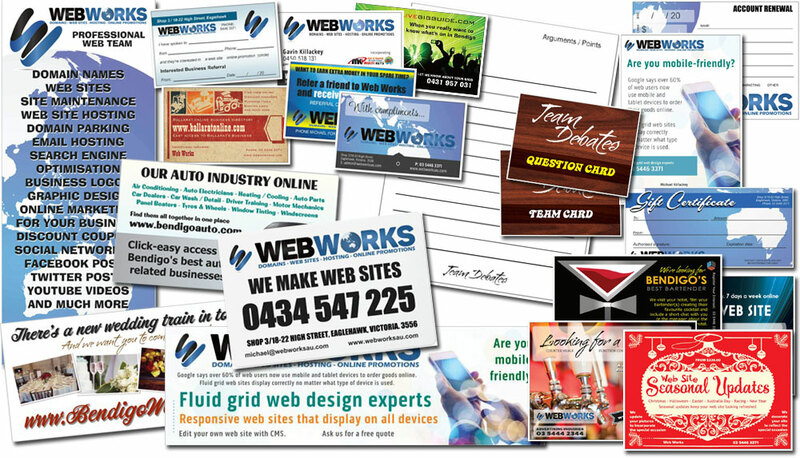 The Web Works in-house design team can design business flyers, leaflets, banners, signs, posters, business cards, loyalty cards, gift vouchers, stationery, magnetic signs, decals, bumper stickers and more for all types of business. The cost of this service varies depending on the work involved by the design team. You can reduce costs by supplying artwork such as logos and images and telling us exactly what you want. 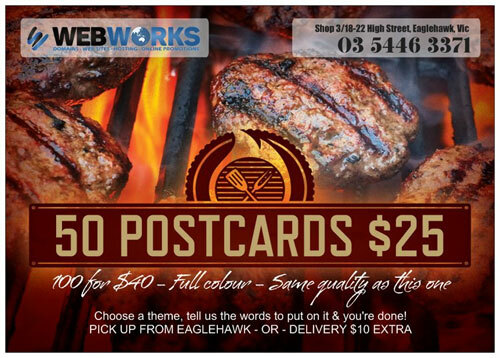 We charge an hourly designing fee of $66 including GST. We can also arrange printing for you at very competitive prices.